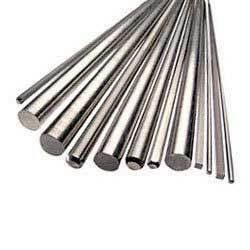 We supply ohns (oil hardened non-distorting steel) in various grades like o1, o2, o6, o7 etc in shapes like rods, flats, sheets, patta etc in various sizes. Application :: All press cutting tools & punching tools for thinner materials. Small tools of complicated design for reforming, bending & drawing. Small plastic & rubber moulds. We offer a wide assortment of Oil Hardened Non-shrinking Steel. It is a die steel used to fabricate scraps and finished goods. This steel is hardened by oil quenching. This is one of the cheapest Non-shrinking Steel. We offer Musco make OHNS Steel Round Bars. OHNS is an oil-hardening, non-deforming tool steel which can be hardened at relatively low temperatures. Tools and dies made from O1 will have good wearing qualities since the tungsten and higher chromium content gives improved wear resistance over the straight manganese grades. 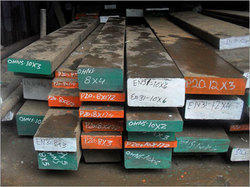 We are involved in manufacturing of OHNS Steel. We serve the best quality of products.